How was your week? This week included a big change for our family as Emily started her new job. Arlene and I continued with her Worldviews in Conflict book, as well as her Biology book and Chemistry DVDs. Have you thought recently about how fortunate we are to live where we can choose how our children are educated? 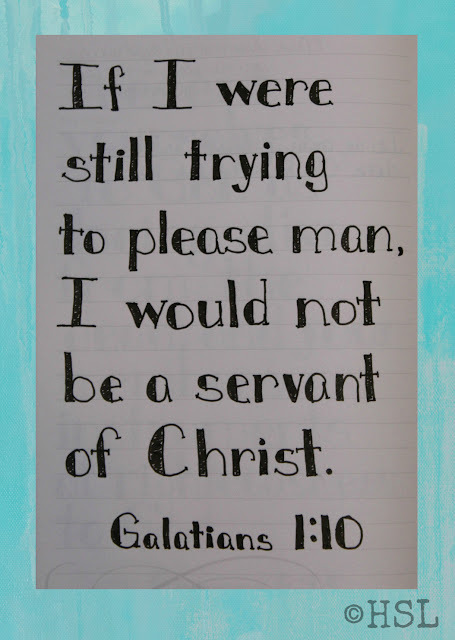 Whether you choose public, private or homeschooling, YOU, as the parent, get to choose! That is a freedom we should never take for granted! Monday was a get it all done type of day, while Tuesday was unusual in that we had some windows replaced. I'll admit we took most of the day off of formal learning. We didn't take a scheduled Fall Break so we had some days of wiggle room in our schedule. Wednesday was the girls' last day of volunteering at our local Living History Museum. They were both thankful that the rain held off until after they were done for the day. Thursday was another get it all done day. Days like that include schoolwork, housework, and usually even more. Does your life ever get like that, where it goes in spurts and some days are really relaxing and others just seem crazy busy? Ours does that sometimes. One of the best parts of spending time together as a family is being able to find the small joys in the every day happenings. When I've stopped this past week to think about how blessed we have been by God, it astounds me how great His blessings are. Our girls have both made great friends both at their volunteer jobs and in the local community through our church and our 4-H club. I could not have chosen better friends for them if I tried. 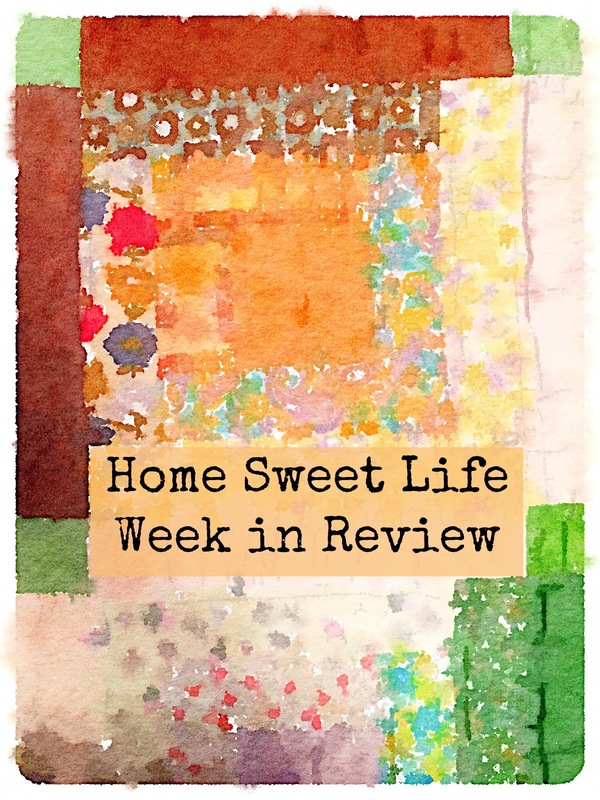 There are still a few more reviews upcoming from the Homeschool Review Crew. Right now we are reviewing two items from Chara Games, as well as continuing the review of the Chemistry 101 DVDs. Those will post her on the blog in Mid-November. If any of you are thinking about applying for the Homeschool Review Crew, remember that the application is open until Monday October 31st. What have I been doing this week outside of homeschooling? I've continued with my Scripture Writing and I started reading a new book about prayer that my friend Linda gave me. I picked up a couple of books to read at the library. Today the girls and I took an afternoon field trip to the Indiana Historical Society's Museum, then we did a little sight seeing in downtown Indianapolis. Hopefully next week I'll have time to photograph and write up a tutorial for those of you who have asked to learn more about how to do Scripture Writing for yourselves. 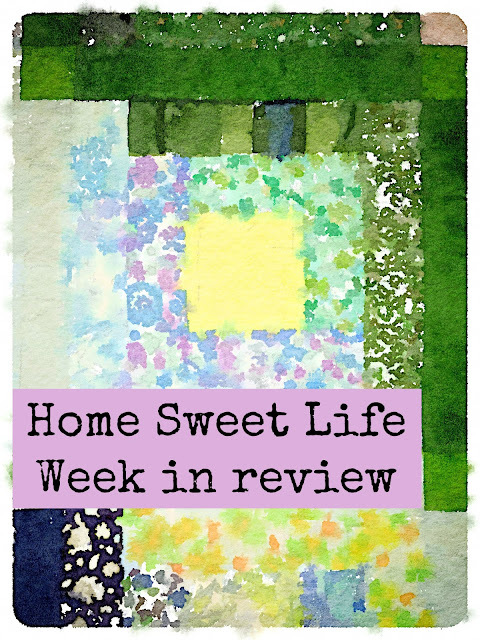 Come find out what other families have been up to in their homeschool this week. Click on over to Homeschool Coffee Break and read the other Homeschool Highlights posts for this week! Are you looking for a meaningful gift for someone's Birthday or Christmas present? We have found your answer with a Personalized Framed Plaque with Name Meaning and Bible Verse from CrossTimber. 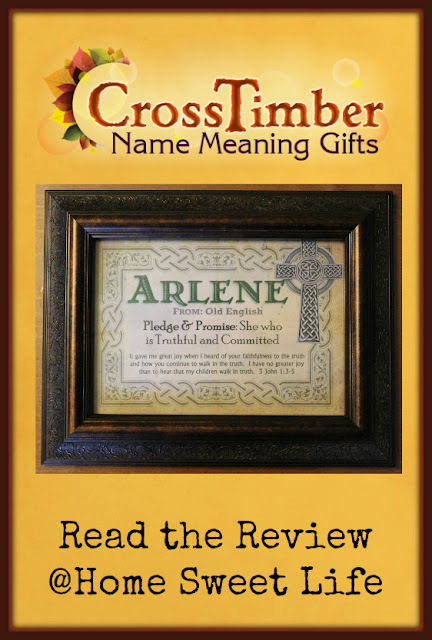 The picture above is of Arlene's name plaque from our review. Why choose a gift from CrossTimber? So many reasons, but here is my number one reason: almost every name in every spelling! John Dehnart has been researching name meanings for over 18 years, and his database is HUGE! Perhaps you can relate to this personal tale: our oldest is named Emily, our youngest is named Arlene. Try to find a personalized gift (like a magnet or mug) for Emily - no problem. Try to find anything that has Arlene's name, spelled as her name is - a major undertaking! The grandparents have been faithful to find (or special order) things for her over the years, but its not like you can just walk into any gift shop in whatever city you vacation in and find her something with her name on it. John Dehnart and his sister began their printing business when John was 13. His love of name research began during a break from his normal homeschool routine when his parents enrolled him in Driver's Ed. CrossTimber is a family business and our order came with a great newsletter telling about the business and how it has grown over the years. They do more than name meaning gifts, but for now, let's focus on the wide variety of gifts they have available. A common concern when choosing gifts is to find one that is unique, a gift that won't be like anything else opened at the party. Cost can also be a real factor when considering a custom gift, as many companies either want you to order at least a dozen items, or they assume you have a budget of $50 per gift. They offer name plaques (framed like Arlene's) or name prints that you can give unframed or frame yourself (a great option for large families.) CrossTimber also offers the option of ordering the printable file emailed to you, that you would then print locally - an ideal solution for those who live overseas or are in a rush to get a gift before a special day. 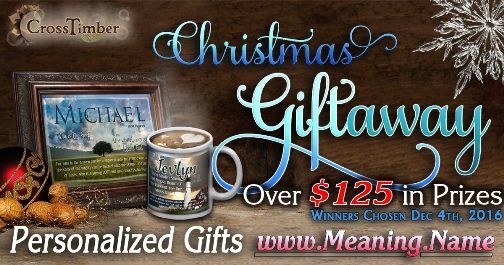 Some people want a truly unique gift and might choose a personalized mug or music box. I think a music box with your name meaning would make a wonderful gift for a milestone like High School graduation or a special birthday! How many people have a spouse or friend who just loves coffee? Wouldn't it be awesome to give them a mug with their name, name meaning, and Bible verse on it to start their day with?! 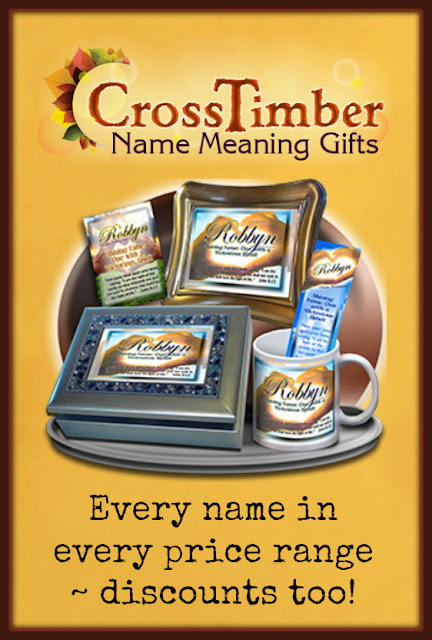 On the CrossTimber website you can choose from over 150 background designs. If you are ordering a name plaque you can choose from four different frames, and then see how it will look with that background. You are also given the option to leave it up to the artist's choice. For Arlene's name plaque we opted to pay the $2 uncharge to get the Ornate Frame because she liked how the detailed frame went with the Irish Celtic Cross design she had picked out. If you are ordering these name plaques (framed prints) as a gift, I understand that you're probably not going to be asking the recipient which design they like best beforehand like I did with Arlene, but since there are so many options, and you can search them by theme, you should not have any trouble finding the perfect one for your gift! Once you've decided on your name gift, you'll have the option to add extras, like bookmarks, greeting cards, or pocket cards that match. On our order, John and Katie were kind enough to send us pocket cards (laminated) for Arlene, matching her name print, and one for me. You can see them in the picture below that also highlights the detail on Arlene's frame. I hope by now you are intrigued and have thought of some people who you would love to give name gifts to. Before you click over and start ordering, I want to let you know about a couple of the other name gifts that CrossTimber offers. They offer Multi-Name plaques where you can have two names in case your recipient has a double first name or you want first and middle names like: John David or Elizabeth Ann. They also offer their Multi-name plaques with your Surname. How cool would it be to get your Parents a Family Name plaque for Christmas and then offer bookmarks or pocket cards as gifts for your siblings?! Back to the original Name Plaque that we ordered for Arlene. When I knew we would be reviewing for CrossTimber, I wanted to see name meanings for each member of our family. I emailed John at CrossTimber with our names that evening and he responded the following morning. You can also click the live chat button on the bottom right corner of their website. The customer service was excellent. Arlene's plaque arrived well packed in a very short time via USPS Priority Mail. CrossTimber is located in Ohio. By searching around on their website I learned that the state motto of Ohio is "With God all things are possible." 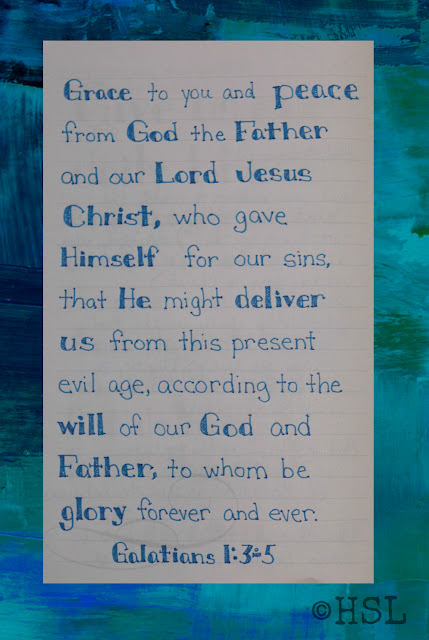 If you are looking for a gift, but not sure you want a specific name on it, they also offer Names of God plaques and custom Bible Verse plaques. 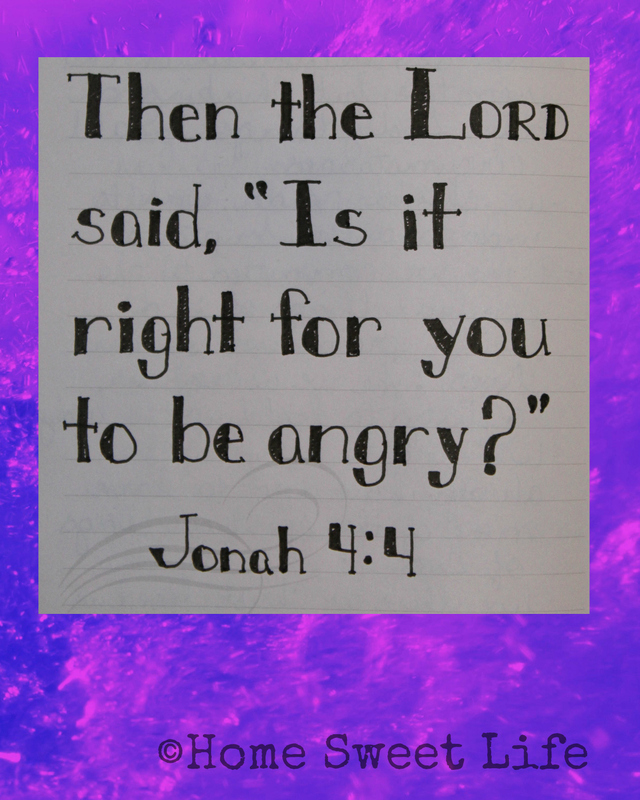 Both of these would make a statement as wall art in a schoolroom, Doctor's office, or Sunday School room. 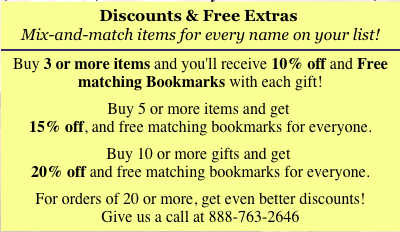 They also offer great discounts on multi-item orders! CrossTimber offers a full range of business printing and graphic design services, as well as website design and voice-over work. This homeschooling family from SouthEastern Ohio is meeting needs of businesses large and small, as well as providing wonderful name meaning gifts. The Dehnart family has just made a HUGE announcement, and I think you'll love watching the video here on their name meaning page. Excited to see what CrossTimber has to offer? Great! Ready to order? Even better! Want more exciting news? 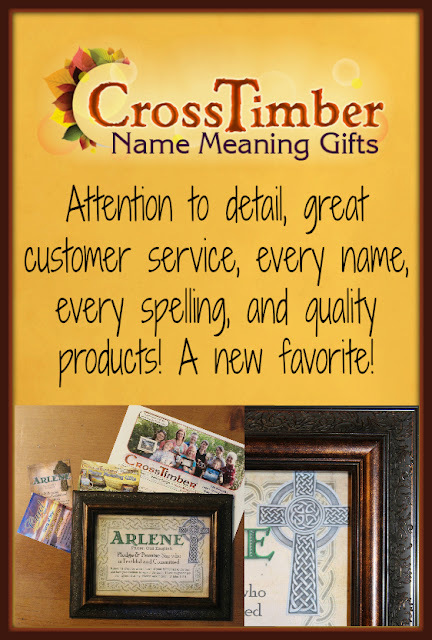 CrossTimber is offering a Giveaway with one Grand Prize Winner receiving their choice of a Name Mug or Name Plaque and nine runner-ups receiving a $10 Gift Certificate. Click on the image below to enter the giveaway! They are choosing the winners on December 4th, so if you win you'll still have time to order for Christmas! To read the other Crew Family's reviews, click the banner below! When God impresses upon your mind a portion of Scripture what do you do about it? How do you record or remember what the Holy Spirit has shown you during your Bible Study time? 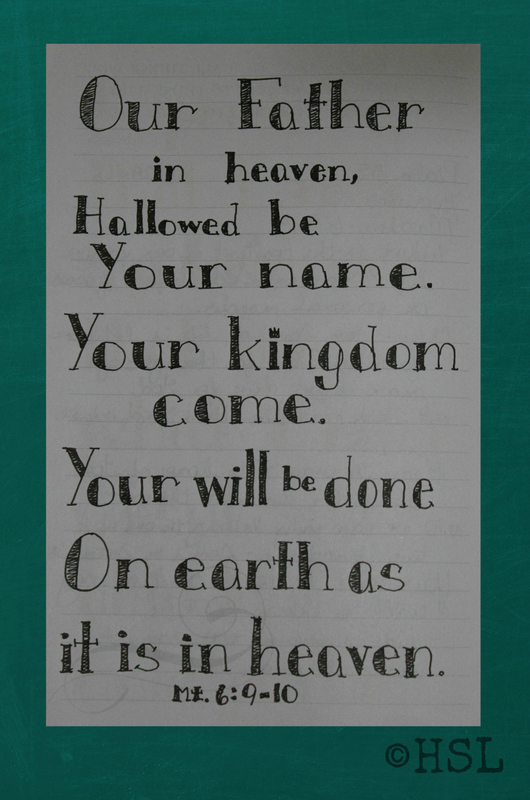 Do you meditate on Scripture? 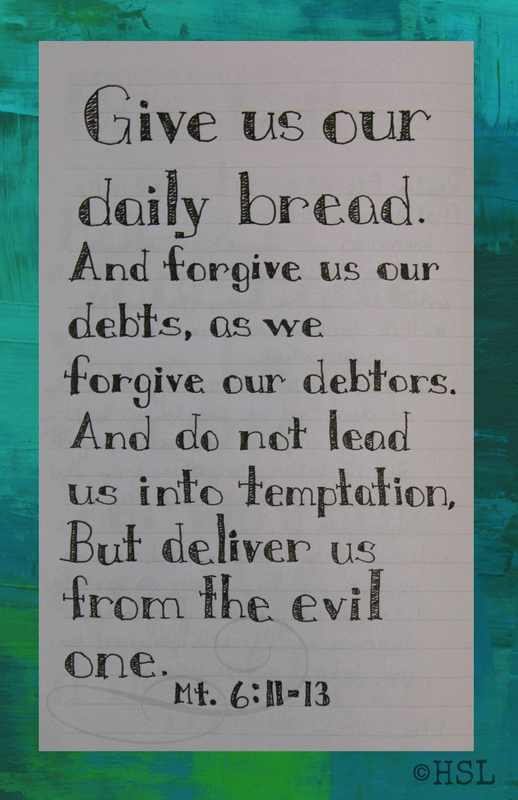 Do you pray using the Scriptures to guide you? Way back in High School ... a long, long time ago... I spent some time learning about calligraphy and hand lettering. I've done a few things over the years, but nothing recently. Last fall I thought it might be a good time to resurrect my hand-lettering skills. Chalkboard fonts were popping up everywhere, and I wanted another creative outlet, preferably one that didn't require long periods of time to complete. Bible journaling had been gaining popularity, and while I'm not opposed to making notes in my Bible, I wasn't really drawn to the cover the whole page style that seemed the most popular. Then this Spring we (the girls and I) saw a display about Bible Journaling. 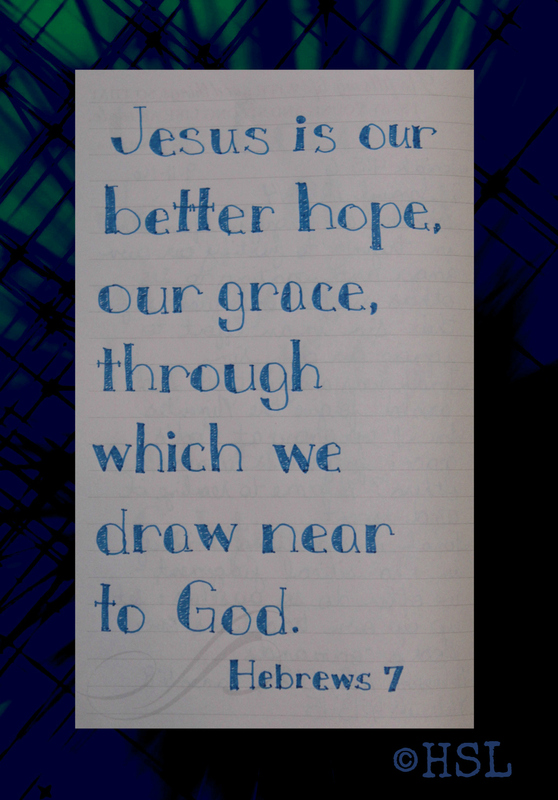 It seemed many people were going overboard ~ focusing more on the art and less on the Bible. If Bible journaling is your thing - go for it- but remember to keep a copy of your Bible that you can still read on a daily basis, not just the one you've painted, stamped, and stickered! On to this Summer - our local Christian bookstore was hosting a free Bible journaling class. I decided to attend and see if maybe I was missing the mark. There are now several versions of Bibles bound with wide margins for journaling, even whole leaves to draw or take notes on. It still wasn't really calling to me, and by then I had done quite a few of my Scripture Writings in the journal I keep in my Bible bag. I like the adult coloring books with pictures and verses, but it does not have the same impact on me to color what someone else has drawn as focusing on what God is speaking to me each day. So I decided that God was telling me to just keep doing what I was doing. What was I doing? Just some hand-lettering of the portions of Scripture that seemed to jump out from the sermons at church, or that seemed particularly relevant when I would read at home. I was writing them on the left-hand page of my journal while taking notes on the right-hand page. Then one Saturday in August, I decided to take pictures of some of them, put them on backgrounds and post them on the blog. 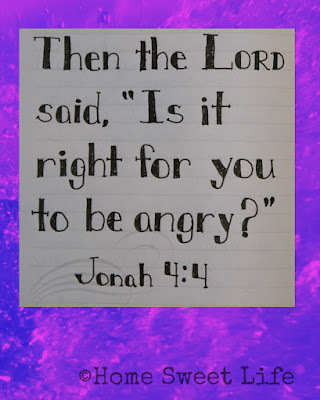 Now, if you had been studying the book of Jonah with us for the past several weeks, or maybe months, you would know why we were in this part of the story and what God had been doing because of Jonah's hardness of heart. BUT, if you hadn't, and you saw this pop up on the blog, or in your email feed, you might wonder why I was asking about your anger...except I wasn't. Does that make sense about why I don't share everything? Most of the Scripture Writing I do does end up here on the blog though. God's Word challenges me, it molds my thinking, it encourages my heart. Those are the passages I've shared. I hope they've been encouraging you as well. If you are wanting to meditate on Scripture, or use God's Word to guide your prayer time, Scripture Writing can help you slow down and focus. At least it helps me. 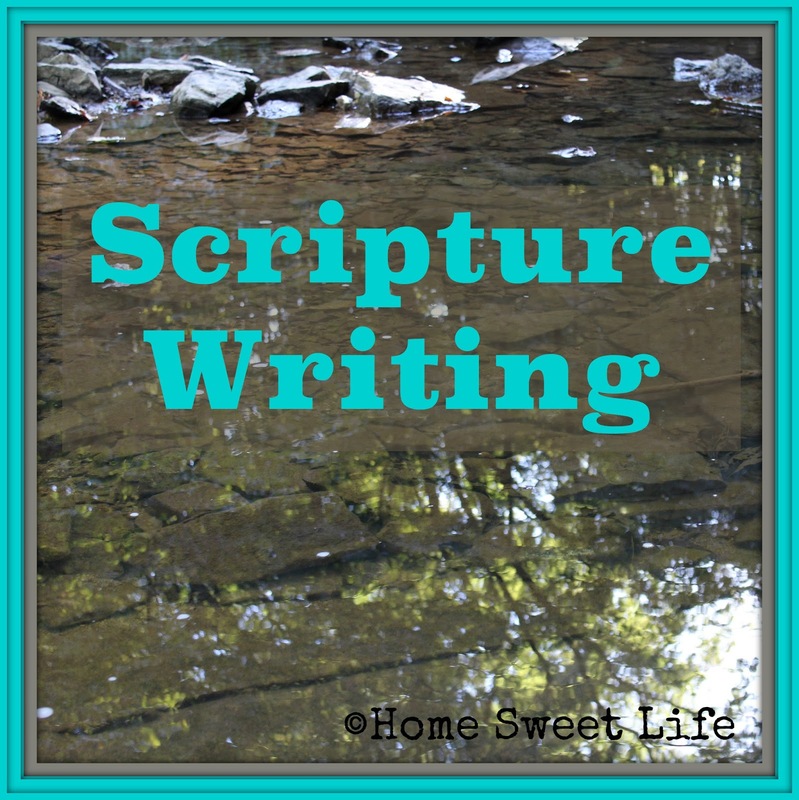 Now that you know how I got started on my Scripture Writing, are you wanting to try to yourself? It doesn't need to be fancy artwork, it can just be for you. If you're interested in learning more about how I actually go about the steps from first reading through final writing, leave some sort of note in the comments. If there is interest, I'll make a step-by-step tutorial and post it in November. "Mama, Can we go to the Park?" This question has hit my ears thousands of time over the past 16 years that one or both of the girls could talk. Seriously, thousands of times! There is hardly anywhere they would rather go, unless it is cold and rainy, then they would rather go to the library. We go to the park a lot. Which park? Any, several, or our favorites. It doesn't usually matter to them as long as we are outdoors. Kurt is almost always up to a trip to the park too. We go often, but not often enough. I hope to change that. One week this September we were at three parks in the course of two days, actually all in one day, but we got to the last one (our camping destination) late that afternoon. We prefer our state parks, but also go to local neighborhood parks, and museum gardens/ parks often. Arlene and I are hoping to visit all 30+ state parks between now and when she graduates in 2018. It may be a challenge to fit some of the further-flung ones in, but we are trying nonetheless. Walk, climb, photograph, we do it all. Many, many of the pictures I use on the blog are from trips to various parks we visit. 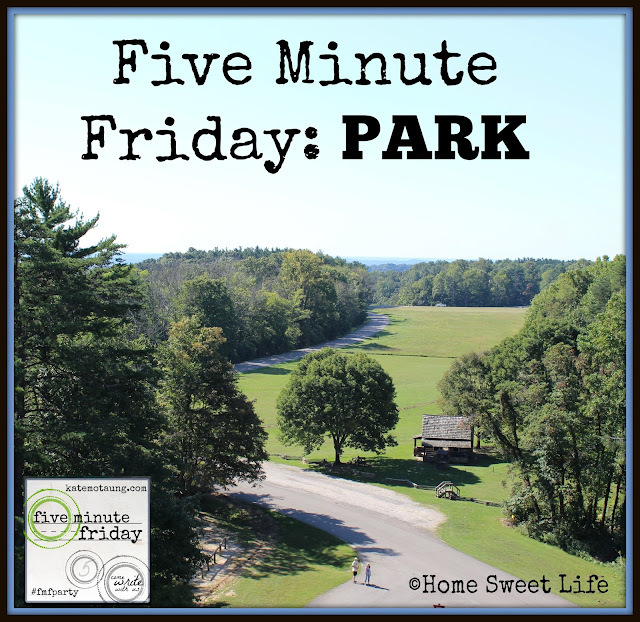 Want to read more Five Minute Friday posts? Click on over to Kate's blog and the link-up! What have you been doing all week? Is it your normal routine, or did you try something new this week? I don't think we have had a "normal" routine any time in the past three years. Does that sound odd to you? It is just how life happens here at Home Sweet Life. We officially start school here every year the day after Labor Day. That means we are about 6 weeks into our year. This is Emily's last semester of High School. She will be graduating in December. She just needs to finish her last 2 courses, so her schedule is not like anyone else's "normal." It is just her own combination of schoolwork, housework, and job interviews. I think that is typical of an 18 year old...maybe? Arlene is hard at work on her Junior year of High School. Ok, she's not hard at work right this minute, right now she is playing a game on her iPad. But earlier today, she was hard at work. Since we're a few weeks in, we spent some time on Monday making sure she was getting the correct amount of work done each week in her courses for this Fall to make sure she finishes what needs done before Christmas. Most of her classes will continue into the Spring semester, but we wanted to do a check-up as to where she is now. Arlene and I have been using the Worldviews in Conflict set from Master Books. It is SO good! I was a little hesitant at first, wondering if it would be a good fit for her, and so far it is. We have loved Master Books since she was little and this title is no exception! Since Emily is graduating I wanted to have something that Arlene and I would do together, not just something for her to do on her own. As a working and homeschooling Mama, I usually choose curriculum that she can mostly do on her own, so we can keep our limited together time for things where she needs real help. This course has been a great use of our together time, as we take turns reading the text out loud, and then discussing it. If you have been considering it for your High School Junior or Senior - get it! Here is a small warning- only get it for your 15 year old or older as it is quite in depth and requires some real maturity. While I know a lot of homeschoolers start their students in High School at 13, this one worth waiting until they are older so they can really discuss it with you. This is NOT a do it alone course! We continue to work our way through Algebra. Yes, this has been a multi-year project, but it is worth it to take as much time as Arlene needs to understand it. With her dysgraphia it simply takes her longer than it does for most other students. She would much rather just do story problems all day, but she needs the Algebra to graduate, so we keep plugging along. She is also currently working through Geometry - both from Math-U-See. Science? Yes! Actually two of them right now because she is using Science Shepherd's Biology, plus we are reviewing a superb Chemistry DVD set from Chemistry 101. She sent me to work on Wednesday with a directive to bring home a balloon so she could do the experiment. I guess that is one drawback of having older students... you have less balloons and play-doh around the house and more reference books. Thanks to my friend Amanda for providing the balloon! Tomorrow we're taking another field trip of sorts ... the local Historical Society is preparing for a quilt show next month, and since Arlene entered her checkerboard quilt she made for 4-H this year, she is going to spend the afternoon helping the ladies with checking in the other quilts that are being brought in for the show. I know a lot of homeschooler might think that isn't really schoolwork - so what?! This is preparing her for real life, and isn't that the point of an education anyway?! Our 16 year old voluntarily read a legislative law book from the 1800's yesterday, she can have fun with quilts tomorrow! Balance, and fun, definitely fun. What will next week hold? I'm not sure, but I do know that God will let us know if HE has plans for us that are different than what we might have in mind. I've been active helping get the word out that the Homeschool Review Crew is accepting applications for the 2017 Crew year. You'll see some posts from me, as well as several from my friends on our Social Media pages for the next week or so. If you're interested, click on over and find out more. Oh yeah, we've been listening to Cootie McCay's Nativity from The Familyman's Christmas Treasury over and over again this week- it is our favorite story of the eight available- you should get it! I'll be linking up with my friend Kym on her Homeschool Highlights posts over at Homeschool Coffee Break. If you click over, you'll have an opportunity to find out how other families spend they weeks educating and living with their children. Lots of fun, lots of ideas, quite a bit of encouragement will be found over the next few months. I'll try to actually get a post up each week about what we've been doing here at Home Sweet Life. Until next time, know that I'll have Scripture Writing posts every week, and we have a super cool review item to tell you about next week! Linking up with friends for Homeschool Highlights! 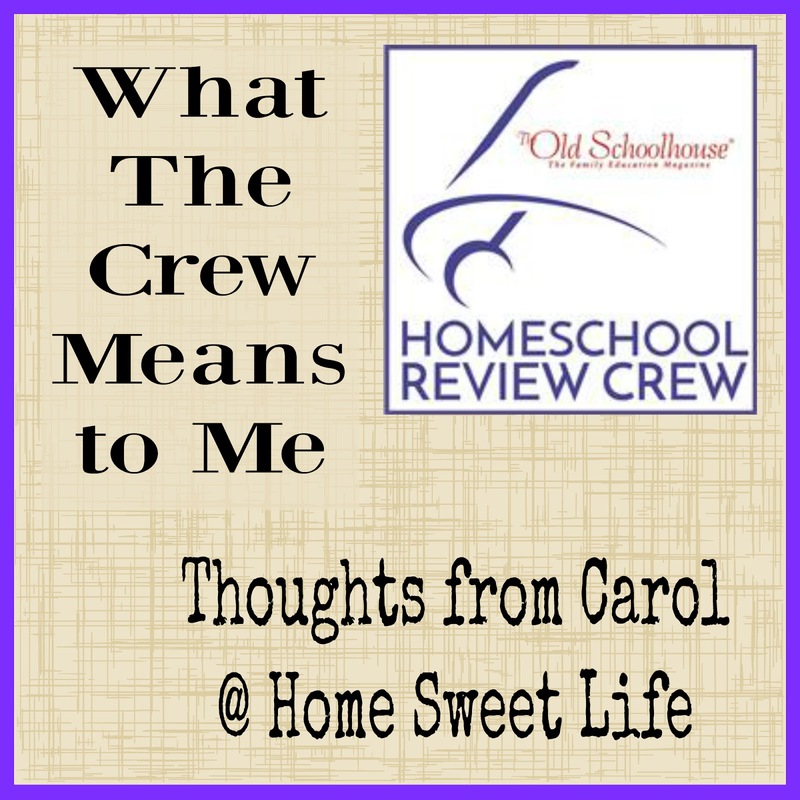 This week I've been asked to share a little with you about how being a part of The Old Schoolhouse's Homeschool Review Crew has impacted me, and our family. There is so much I could say, and a lot I will say, but you also have a life... so I'll limit myself. :) Be sure to read to the end as I'll share about how you can find out more information if you are interested in applying to join the Crew for 2017. I was first introduced to the Homeschool Review Crew (I'll just call it the Crew from now on,) back in early 2012 by my friend Sharra. 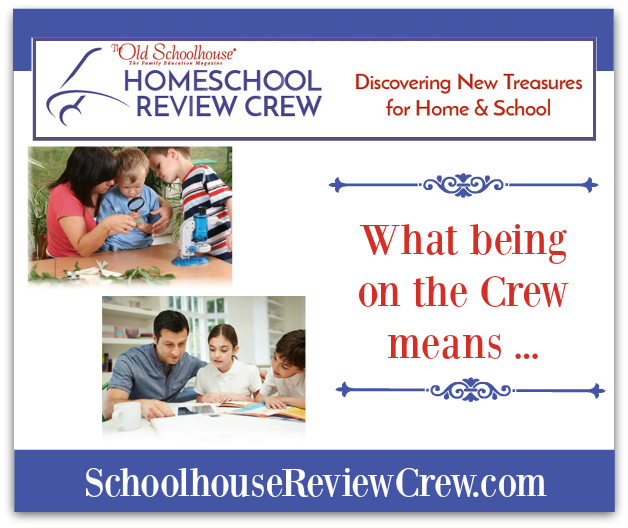 I had only been blogging for a few months, but she suggested I apply to join the Crew for two reasons A- I like to share what we have done in our homeschool journey, and B- it would give us an opportunity to try out some new curriculum as we did the reviews. Our oldest daughter Emily is getting ready to graduate High School this December, and our youngest has recently started her Junior year of High School. Why are we still on the Crew? Because we love it!!! Even though Emily has only helped with a couple select reviews this year, there are still so many wonderful opportunities for Arlene and I to explore new things with the Crew. Right now we are learning to play a new game, and studying Chemistry because of the Crew. Just in case you somehow missed it - Arlene LOVES the Audio Theater CD's we have reviewed from Heirloom Audio Productions! Maybe by now you've seen that we have the opportunity to review cool things. Not everything we review ends up making it into the regular lineup of courses the girls have completed for High School, but plenty of them have. But there is SO MUCH MORE to the Crew than just reviewing products! What does the Crew mean to me? I would be remiss if I didn't tell you a little about what goes on behind the scenes of the Crew. We have a terrific Leadership Team that helps us become better bloggers. There is a Q&A section where we can go and ask for help with technical aspects of our blogs (like how to improve our graphics,) or ask for someone to mentor us in our writing and presentation style. Personally, my favorite part is getting to know the other Homeschooling Moms, and a Dad, who are on the Crew and the fellowship we have together. We encourage one another, we pray for one another, and when tragedy or life mishaps happen, we support each other. How has the Crew Impacted me? Being on the Crew over the past 5 years has really challenged me to be a better writer, and a more organized Mom. I'll be the first to admit that we live a relaxed homeschooling life. It's a good thing our homeschool is relaxed, because the rest of our life is FULL. We have always followed Charlotte Mason's methods of gentle learning, with an emphasis on Living Books, Nature Study, and Narration. The Crew has offered us a chance to see how these methods can be effectively used all the way through High School. There are several curriculum companies out there that offer quality materials. I know as a Mom on a budget it was always difficult to decide if what was offered would fit our style and our budget. When we write our reviews, we try to be as honest as possible about how a curriculum A- is designed to work, B- if it works like that, and C- if it can easily be adapted to fit other teaching or learning styles. The Crew year runs January-December, with the last reviews posting in Mid-Novemebr so we always have plenty of time off for Thanksgiving and Christmas. I want to encourage you to learn more about joining the Crew for 2017. There are some basic requirements, but if you are regularly blogging and sharing your posts to Social Media of some kind you should be able to meet them all. Then, if you're interested, submit an application to join the Crew for 2017. Even if being on the Crew isn't something you're interested in for 2017, know that we are planning to remain on the Crew as part of the High School reviewers. Stick around and read about all the fun we have, and learn something new about all the cool curriculum that is out there! One last thing... the Crew has helped me be a more organized Mama. We have had several opportunities to review planners of various kinds, both print and digital, and I've even learned how to write my posts early and schedule them. While this may not seem like a big deal to you, it is to me! 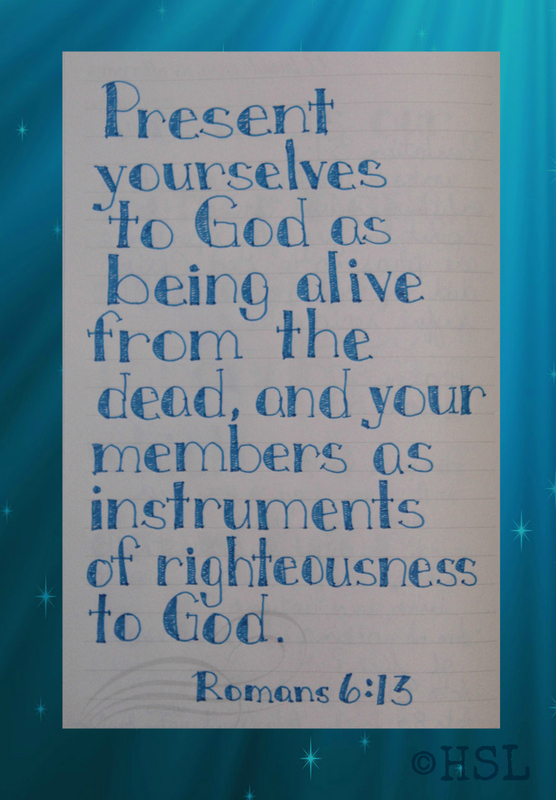 It has allowed me more time to do the Scripture Writing that I love, and share it with you all. We also have some awesome Road Trip posts to share with you soon thanks to learning how to be better organized! We've always been taking Field Trips, I just haven't always gotten around to telling you about them. In just two short months it will be Christmas! Now is a terrific time to be turning our families' hearts and minds towards the true meaning of Christmas - the celebration of Jesus' birth. 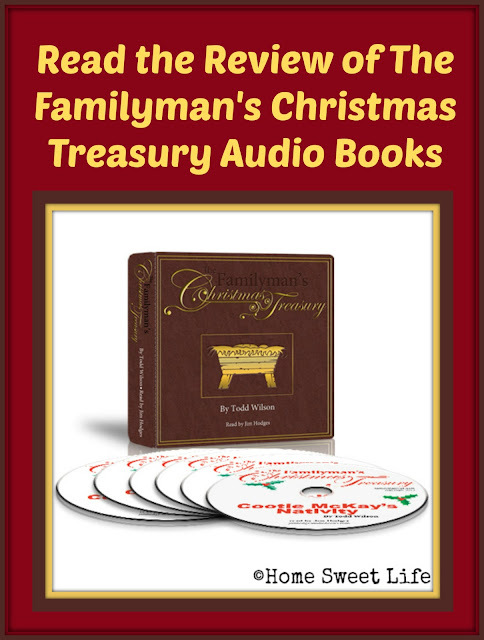 Arlene and I have been reviewing a fantastic resource for getting our hearts ready for Christmas as a part of the Homeschool Review Crew, The Familyman's Christmas Treasury - Audio Collection. This collection is six of the eight Christmas stories Todd Wilson has written in CD format. 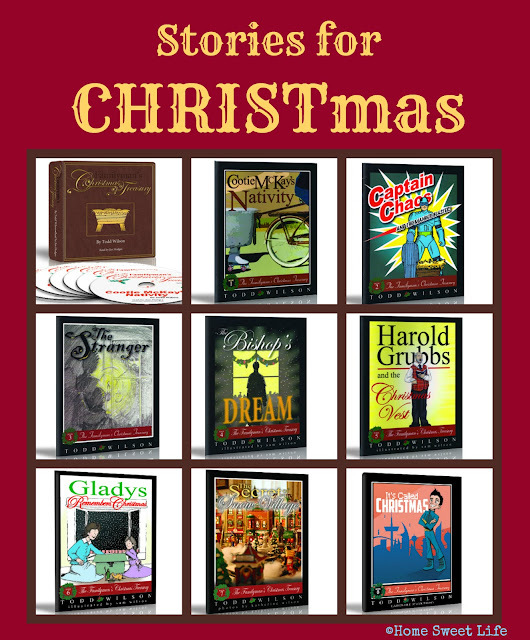 The Familyman also has the stories available as Digital Downloads. For our review we received all eight of these stories as digital downloads, plus one of them on a CD. Arlene (16) and I listened to all of the stories several times. Kurt was kind enough to transfer my downloads to a thumb drive so I could listen to them in the car. Arlene mostly listened to them on her iPod while doing her housework. We both enjoyed listening to these stories that always point back to Christ as the center of Christmas. The stories are great listening for all ages, whether in the car or at home. Several of them are told from the point of view of the kids in the story, so they should resonate with your children. Many people are familiar with Todd Wilson, The Familyman, from hearing him speak around the USA. These stories he has written include some of his trademark humor, and a lot of real-life settings. Not that my children have ever grumbled, or I've ever lost my focus -LOL! Trust me, you'll enjoy them all! The Familyman's Christmas Treasury - Audio Collection is a delightful audio book set of Todd Wilson’s Christmas Treasury books read by Jim Hodges. You may remember Mr. Hodges from one of our earlier reviews as he reads the unabridged G.A. Henty stories. The audio collection is six of the eight books in the series on CD’s, we also received audio versions of the other two stories. The stories are all different and all fun but they all have one thing in common. Christ is the center of Christmas. Cootie McCay’s Nativity is a fun story that takes place in the 1950’s. In a small Midwest town where shortly after Christmas the town Nativity gets run over by one of the town's elderly residents. That night a conference is held to see what they will do to have a nativity for the next year. It is finally decided to ask Cootie McCay, a man whose only work is literally to turn trash into treasure, even thought they are all afraid that they will have the worst Nativity in the state. No one in town really talks to Cootie so when he is asked he admits that he has never heard the story of the birth of Jesus. Over the course of the year, with frequent help from his neighbors, Cootie learns the story of Jesus from birth to death to resurrection. The town waits on edge all year until… Well, you have to find out for yourself! I will say that this is my favorite of all the stories. Captain Chaos and the Manger Blaster is about a boy named Jason who is tired of the boring Christmas story and decides to add some fun by adding in Captain Chaos while he and his sister are playing with the family nativity. Jason's sister complains to their mother that he was ruining the story. Jason's mother sends him to his room. He starts complaining to himself and then Captain Chaos arrives and upon hearing Jason’s complaints blasts the manger away. Jason wakes up the next morning to find no Christmas tree, no holiday decorations, and no baby Jesus. Which means a sad world with no way to Heaven. Eventually however… Well I'll let you listen yourself and find out. The Stranger is about a visiting strong man who has gone around to all of the houses of the members of a small church. He knocks on their doors, but no one lets him in, even though it is almost Christmas and cold outside. Eventually one family lets him in even though their power is out and the dog ate part of their Nativity. The stranger, whose name is Jesse is very kind and polite and starts to carve them the missing pieces. When they wake up the next morning Jesse is gone and the family Nativity is… Are you beginning to see a pattern here? The ends will be kept from this review so that you have to get copies if you want to know what happens. The Bishop's Dream is about Nicholas, a kind old man who loves children and brings them gifts and love. One night after spending all day with the children, he has a strange dream, of a strange place where people are celebrating something called Christmas. Nicholas doesn’t know what it is but he knows the words Christ and Mass so he assumes that they are celebrating the Savior. He smiles as he see children having fun with a man in a red suite that they call Santa Claus. But he is worried that there is so little about Jesus. He meets a pastor who tells him where the story of Santa came from, and Nicholas realizes that Santa is based off of… Well you might be able to guess this one - but Nicholas is simply sad that Christmas is not all about Jesus. Well they are all fun so get your own copies today in time for Christmas. To read more reviews from other Crew families, click the banner below! Merry Christmas!